We have the fantastic pleasure of watching many of our performers grow up, which may seem obvious, but it’s always remarkable to us that some of the young ladies and gentlemen in their last years at CYPT, now ready to graduate from high school, first came to us as really, really tiny humans. 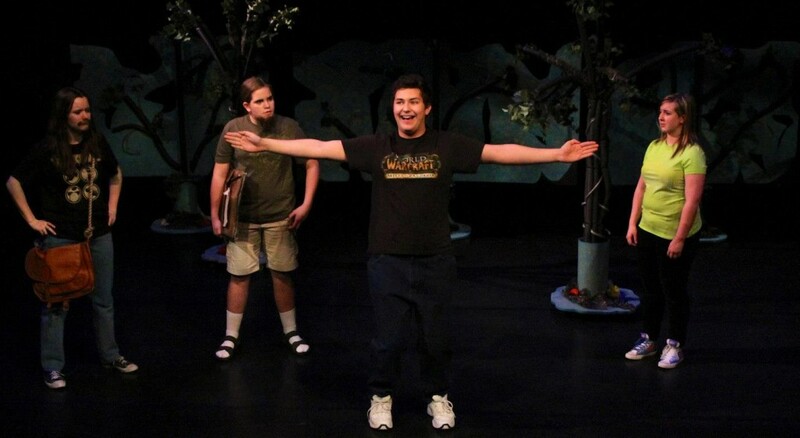 October’s YP of the Month is one such gentleman, who first came to us seven seasons ago as a zippy young performer in our story theatre program, and has since been on stage with CYPT every season. He’s a force of positivity and fun, while also being a respected and skilled performer. He’s brought us to tears of laughter more times than we can count, and we are so thrilled that he’ll be on stage this year in BOTH Atlantis and Village of Idiots. And who is this courageous, confident, courteous, and kind captain of comedy? 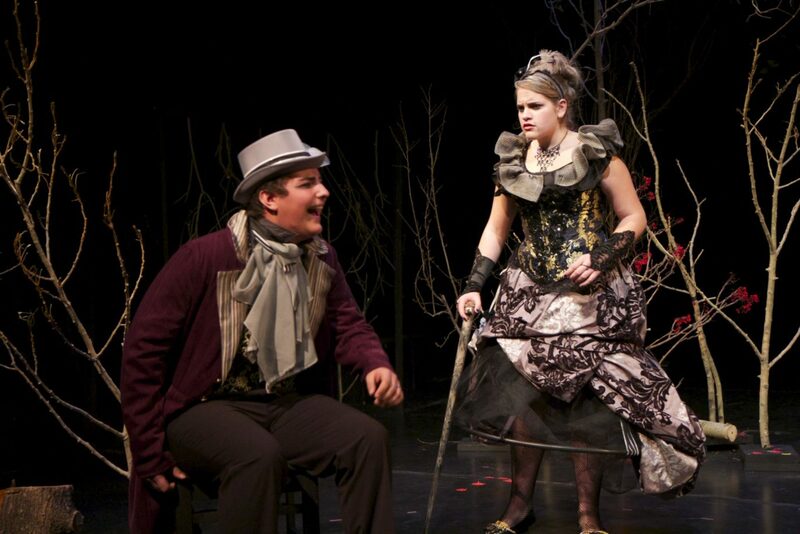 Kyle as Brom Bones in The Sleepy Hollow Project (2014), featured here with Raeleigh as Great Aunt Sasha. Kyle Kubicek is a Calgary born and raised actor. He has been acting since the age of six in various ways throughout Calgary. 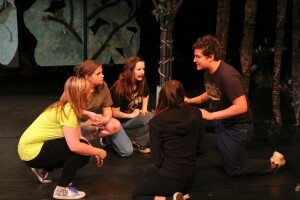 Some ways including Pumphouse theatre and of course Calgary Young People’s Theatre (CYPT). CYPT has been a home to Kyle since 2008 and he couldn’t have asked for a better place to belong. They have helped him to grow and they have had a large influence into shaping not only the actor, but also the man he is today. Kyle as Ram Dass and Robert as his monkey in A Little Princess (2013). Kyle has been in many theatre shows over the years but his first show that went up on a real stage was Frankenstein. 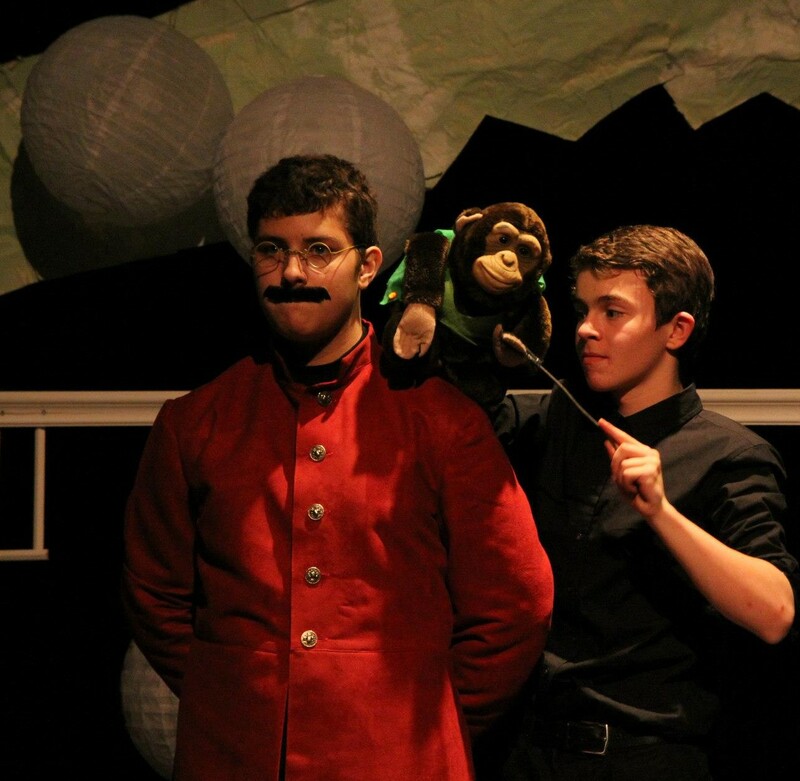 But even before that his first ever show with CYPT was Warm Stories For Cold Nights. This was his induction to the theatre world. Some other shows include: Shel Silverstein Story’s, A Little Princess, A Midsummer Night’s Dream, Y Calgary Festival, Sleepy Hollow, and XANADU. Even though Kyle has a deep love for acting, he wants to pursue Business in Marketing at Mount Royal and then Move to New York University to complete an MBA in music and entertainment management. He can’t wait to see what’s next after High School and the variety of opportunities to come. Rehearsals have begun for his second last show with CYPT and he can’t feel anything but fulfilled and complete with his experience so far. Kyle cannot thank Kristin, Jamie, and Gill enough for everything they have given to him throughout the years. He also wants to thank his best friends Danika, Natalie, Katheryn and Jenna for showing him countless hours of support whether it be by reading lines or just being there when he needed someone to rant to. He could not be where he is today without the support of his mom, Spryng. She is someone he looks up to in the sense of morals and she shows him that you can truly be happy if you really want to. Kyle can’t wait to see everyone in December at opening night of Atlantis!